Spain. In Seville by a cigarette factory, soldiers comment on the townspeople. Among them is Micaëla, a peasant girl, who asks for a corporal named Don José. Moralès, another corporal, tells her he will return with the changing of the guard. The relief guard, headed by Lieutenant Zuniga, soon arrives, and José learns from Moralès that Micaëla has been looking for him. When the factory bell rings, the men of Seville gather to watch the female workers—especially their favorite, the gypsy Carmen. She tells her admirers that love is free and obeys no rules. Only one man pays no attention to her: Don José. Carmen throws a flower at him, and the girls go back to work. José picks up the flower and hides it when Micaëla returns. She brings a letter from José’s mother, who lives in a village in the countryside. As he begins to read the letter, Micaëla leaves. 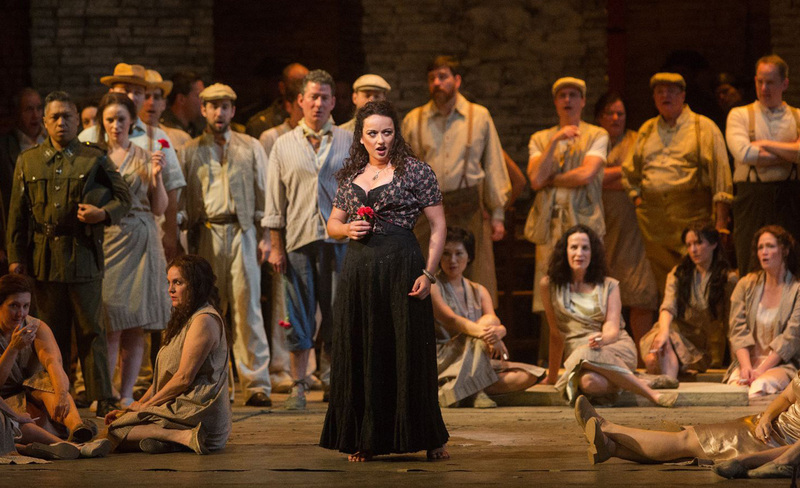 José is about to throw away the flower when a fight erupts inside the factory between Carmen and another girl. Zuniga sends José to retrieve the gypsy. Carmen refuses to answer Zuniga’s questions, and José is ordered to take her to prison. Left alone with him, she entices José with suggestions of a rendezvous at Lillas Pastia’s tavern. Mesmerized, he agrees to let her get away. As they leave for prison, Carmen escapes. Don José is arrested. Carmen and her friends Frasquita and Mercédès entertain the guests at the tavern. Zuniga tells Carmen that José has just been released. The bullfighter Escamillo enters, boasting about the pleasures of his profession, and flirts with Carmen, who tells him that she is involved with someone else. After the tavern guests have left with Escamillo, the smugglers Dancaïre and Remendado explain their latest scheme to the women. Frasquita and Mercédès are willing to help, but Carmen refuses because she is in love. The smugglers withdraw as José approaches. Carmen arouses his jealousy by telling him how she danced for Zuniga. She dances for him now, but when a bugle call is heard he says he must return to the barracks. Carmen mocks him. To prove his love, José shows her the flower she threw at him and confesses how its scent made him not lose hope during the weeks in prison. She is unimpressed: if he really loved her, he would desert the army and join her in a life of freedom in the mountains. 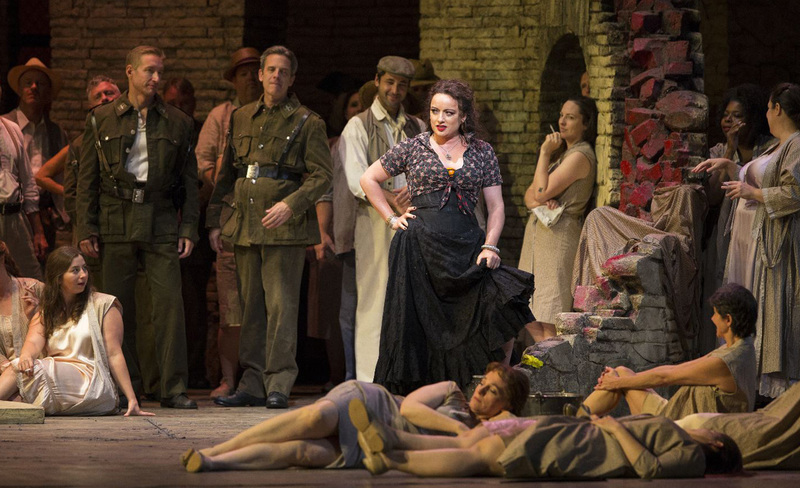 José refuses, and Carmen tells him to leave. Zuniga bursts in, and in a jealous rage José fights him. The smugglers return and disarm Zuniga. José now has no choice but to join them. Carmen and José quarrel in the smugglers’ mountain hideaway. She admits that her love is fading and advises him to return to live with his mother. When Frasquita and Mercédès turn the cards to tell their fortunes, they foresee love and riches for themselves, but Carmen’s cards spell death—for her and for José. Micaëla appears, frightened by the mountains and afraid to meet the woman who has turned José into a criminal. She hides when a shot rings out. José has fired at an intruder, who turns out to be Escamillo. 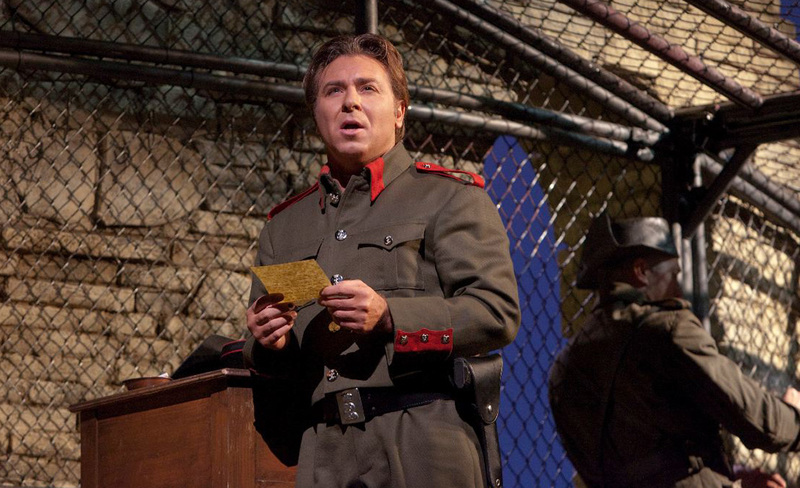 He tells José that he has come to find Carmen, and the two men fight. The smugglers separate them, and Escamillo invites everyone, Carmen in particular, to his next bullfight. When he has left, Micaëla emerges and begs José to return home. He agrees when he learns that his mother is dying, but before he leaves he warns Carmen that they will meet again. Back in Seville, the crowd cheers the bullfighters on their way to the arena. 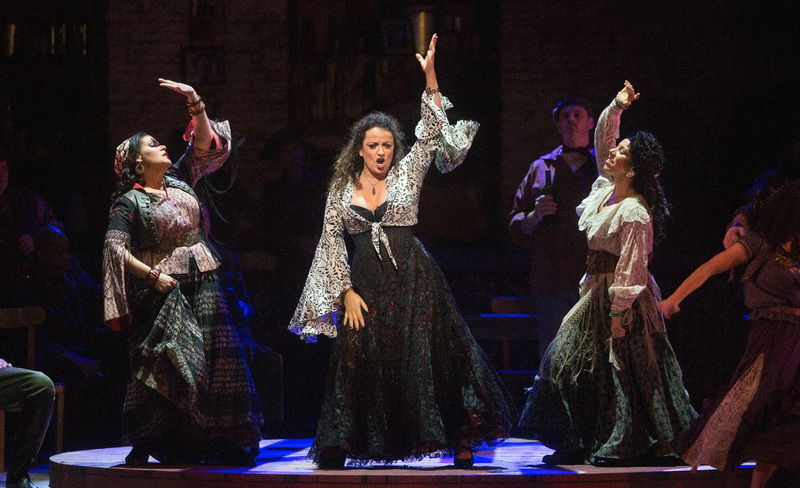 Carmen arrives on Escamillo’s arm, and Frasquita and Mercédès warn her that José is nearby. Unafraid, she waits outside the entrance as the crowds enter the arena. José appears and begs Carmen to forget the past and start a new life with him. She calmly tells him that their affair is over: she was born free and free she will die. The crowd is heard cheering Escamillo. José keeps trying to win Carmen back. She takes off his ring and throws it at his feet before heading for the arena. José stabs her to death. There will be a pre-opera talk one hour before each performance led by Russell Fox.